Carpet weaving started off as a craft, that was performed by a few and passed down from generation to generation, to keep the legacy intact. 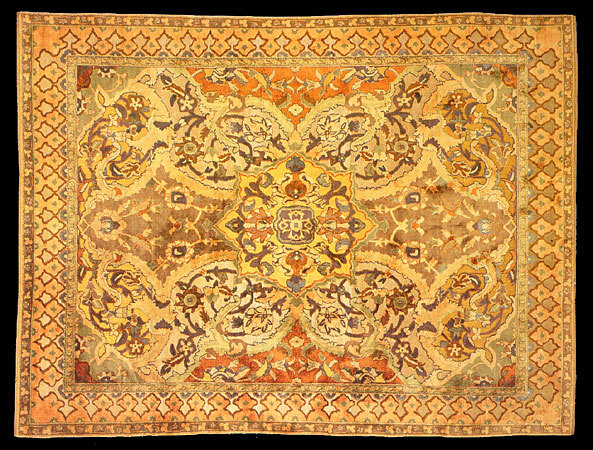 However, under the Ottoman, Safavid and Mughal dynasty it transformed into a worldwide industry where carpets were manufactured in large quantities with patterns developed in court workshops. They were then sold to Europe and other cities in the Far East. Even then, people viewed Islamic carpets as a luxurious form of an art piece and thus were only used for wall hangings or to cover the furniture. Royal households of the Islamic world collected the best of them for their houses. Shah Abbas, one of the greatest patrons of Iran, took the carpet industry to restructure the economy and draw European merchants to Iran. He signed treaties with countries for carpet exports that include Spain, England, and France. Of all those exported, Polonaise became the most popular one and are still found in foreign collections. Other common patterns had vase and garden designs on them. In the early 16th century, after the conquests in Persia and Egypt, things turned out well in the weaving patterns, and different techniques were adopted for making carpets in Ottoman, Turkey. Famous rugs of Anatolia; another city of Turkey, were made up of geometric designs and animal shapes. After the infusion of new cultural traits, carpets were further enhanced regarding patterns by adding medallion and flowing vegetation in the picture. Istanbul was, in fact, the first city to produce this style of Ottoman rugs which then spread over to Cairo and Ushak. Nevertheless, it never gained any place in the traditions. India produced a few carpets, amongst which royal workshops weaved most of them in the cities of Lahore, Fatehpur, Sikri, and Agra. When you see old Mughal rugs, the resemblance to contemporary Persia will be highly visible, especially in those produced in Herat. When the European traders came into the picture around the late 17th century, patterns changed, and a Mughal idiom was constructed instead of flora. Indian carpets due to this change were traded to the West and the Far East. There are so many carpets that remain undated. 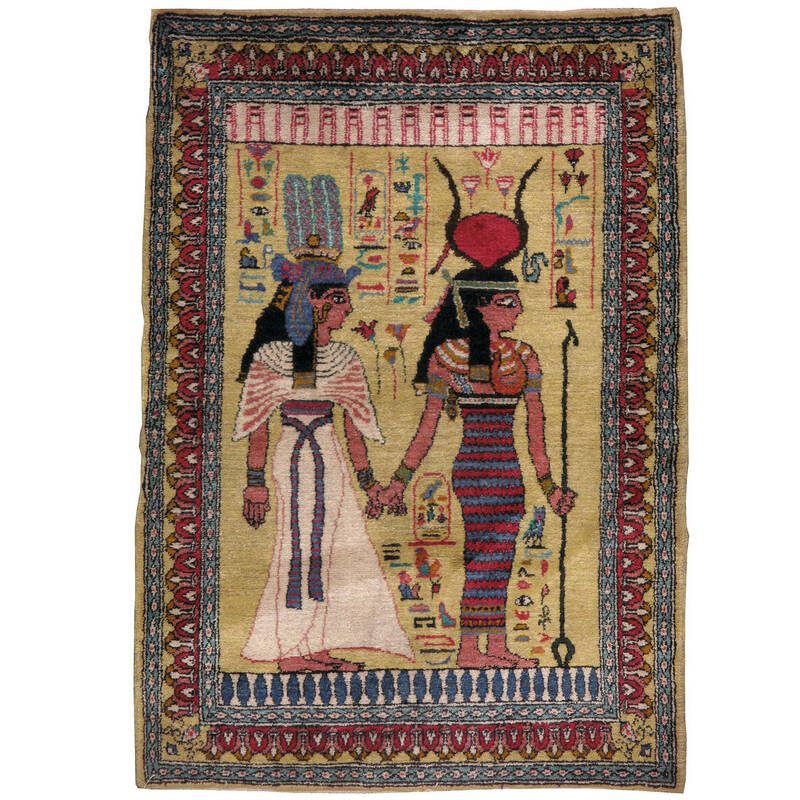 Recognition of most of the rugs is by the artist name in whose paintings they are found in. Examples being Lotto and Holbein. Typically, to find out which era the carpets belong to, they are scrutinized with the material used, dyes, weaving structure and weaving technique. These are the significant clues that determine where construction of the rug took place. Since some weaving techniques are consistent with the particular geographical area, it becomes easier to identify them. For example, the Persians often only used asymmetrical knot whereas the Turkish carpet had symmetrical knots. Indian carpets were very popular with their use of bold red hues, whereas recognition of Egyptian carpets was with the excessive use of wool.